Samutprakarn, Thailand, February 07, 2019- Delta Electronics (Thailand) PCL. welcomed Mr. Adisak Rohitasune, Acting President of the Thailand Automotive Institute (TAI), to see Delta’s latest EV solutions and manufacturing capabilities at the company’s Samutprakarn headquarters. The TAI is Thailand’s leading organization for automotive and auto parts industry development with a focus on environment-friendly business ecosystems and modernization. Mr. Johnny Tam, Delta’s Senior Business Development Director, welcomed the TAI visitors and presented on the company’s success in Thailand and regional expansion. After the presentation, Mr. Kittisak Ngoenngokngam, Delta SEA Business Director, brought the delegation to tour the Delta automotive plant and explore high-tech production lines for automotive electronics, including onboard charging modules, DC-DC converters and traction inverters for top-tier global car brands. The TAI visitors also toured the highly automated production lines and green building solutions including the rooftop solar energy solutions and EV charging facilities. Finally, Delta and TAI engaged in a discussion to share ideas on trends and developments in Thailand’s automotive industry. During the visit, the TAI delegation showed interest in Delta’s vision for energy-saving and smart city solutions, its wealth of experiences and strong capabilities in power and thermal solutions for EVs. Mr. Adisak invited Delta to join an upcoming future automotive event to share its know-how and ideas in the discussion on next-generation vehicle technologies including autonomous, connectivity and car sharing. 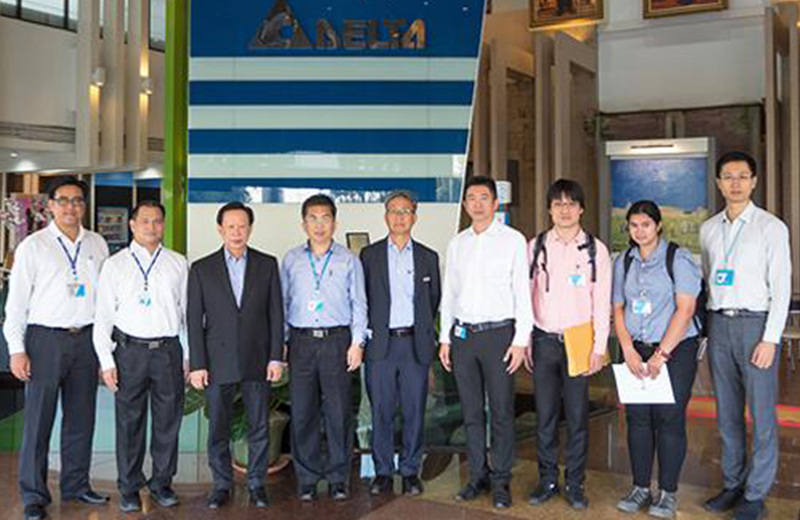 The TAI visit and exploration of Delta’s automotive production is part of the ongoing collaboration between Delta and the TAI to spur development in Thailand’s EV industry and deliver on the Delta brand promise: Smarter. Greener. Together.